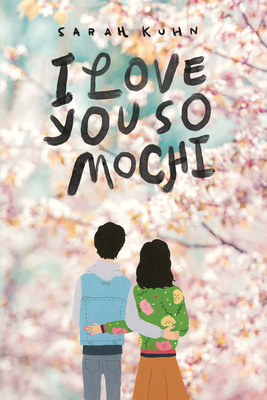 Perfect for fans of Jenny Han and Kasie West, I Love You So Mochi is a delightfully sweet and irrepressibly funny novel from accomplished author Sarah Kuhn. Kimi Nakamura loves a good fashion statement. She's obsessed with transforming everyday ephemera into Kimi Originals: bold outfits that make her and her friends feel like the Ultimate versions of themselves. But her mother disapproves, and when they get into an explosive fight, Kimi's entire future seems on the verge of falling apart. So when a surprise letter comes in the mail from Kimi's estranged grandparents, inviting her to Kyoto for spring break, she seizes the opportunity to get away from the disaster of her life. When she arrives in Japan, she's met with a culture both familiar and completely foreign to her. She loses herself in the city's outdoor markets, art installations, and cherry blossom festival -- and meets Akira, a cute aspiring med student who moonlights as a costumed mochi mascot. And what begins as a trip to escape her problems quickly becomes a way for Kimi to learn more about the mother she left behind, and to figure out where her own heart lies. In I Love You So Mochi, author Sarah Kuhn has penned a delightfully sweet and irrepressibly funny novel that will make you squee at the cute, cringe at the awkward, and show that sometimes you have to lose yourself in something you love to find your Ultimate self. Sarah Kuhn is on a quest to eat every kind of mochi in the greater Los Angeles area. She is the author of the Heroine Complex series and has penned a variety of comics and short fiction about geeks, aliens, romance, and Barbie (yes, that Barbie). Additionally, Sarah is a finalist for the John W. Campbell Award for Best New Writer. In her spare time, she thinks way too much about one day adopting a pug and the lasting legacy of Claudia Kishi. A third-generation Japanese American, she lives in LA with her husband and an overflowing closet of vintage treasures. You can find Sarah online at heroinecomplex.com.